One easy step to clean & protect your leather and vinyl. With our special blend of Nano-polymers and NanoFusion technology, it provides a clean, streak-free, quick drying, natural satin finish with no sticky residue. Penetrating deep into the pores for long-lasting results, it provides U-V protection and leaves leather and vinyl soft and supple. Spray our NANOIZED LEATHER TREATMENT directly on the leather or vinyl you want to polish. Allow it to remain for 30 to 60 seconds. Then use a microfiber cloth to buff the area. Re-apply as necessary. Safely use on all vinyl and leather interiors. Our NANOIZED LEATHER TREATMENT has been engineered to provide the deepest possible protection.The Nano-Polymenrs in S3FUSION provide the longest lasting Ultraviolet protection possible. Multiple coats provide the best protection for leather and vinyl. 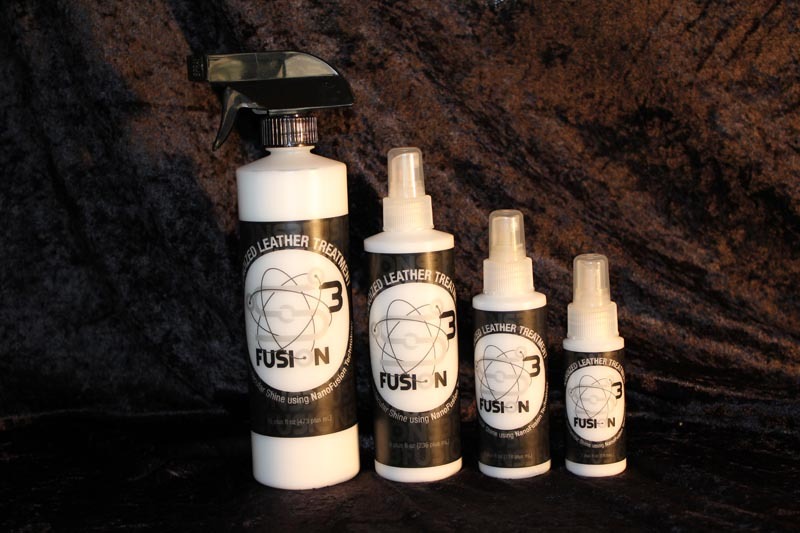 S3FUSION™Nanoized Leather and Vinyl Treatment cleans, conditions, and protects your leather and vinyl in one easy step, lifting and suspending dirt which can be easily wiped away. It is non-oily, streak-free, and quick drying. Since there are no petroleum derivatives in it, it will not attract dust or change the color of the leather. Your dashboards, seats, and even furniture in your home stay cleaner longer. Our special blend of Nano-molecules and our Patent Pending Nano-Fusion Technologyallow S3FUSION™Nanoized Leather and Vinyl Treatment to penetrate deeper into the pores for long-lasting results. It leaves all leather and vinyl soft and supple, provides UV protection against the sun, and produces a soft natural satin finish. Our Leather treatment is also great on luggage, shoes, clothing, saddlery, and boots/shoes. Use it for all of your Leather and Vinyl needs. 1. 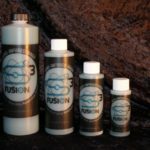 Spray a small amount, 4 – 5 sprays, of S3FUSION Nanoized Leather and Vinyl Treatment directly on the surface being cleaned or on to the microfiber cloth you are using. Gently spread evenly over the entire surface. 2. Allowing it to remain wet for a minute or so, lets our special Nano-polymers penetrate deep into the surface. As it starts to disappear into the leather rub well with your applicator cloth. 3. Buff each section using another clean microfiber cloth to bring out a soft, rich shine. 4. Multiple coats of S3FUSION™Nanoized Leather and Vinyl Treatment help to resist stains from spills and keep your leather and vinyl in a “healthy” condition without any sticky buildup.